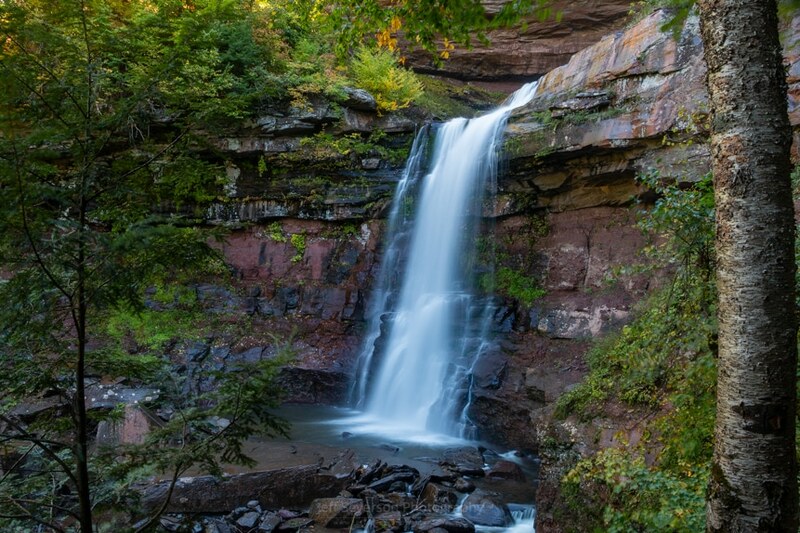 The 2nd fall, measuring approximately 80 feet, of the 2-tier waterfall that is Kaaterskill Falls in Hunter, NY on an October morning. In total, the waterfall measures approximately 260 feet. This photograph was taken with a Canon EOS 70D on October 5th at 18mm and 2 second exposure.